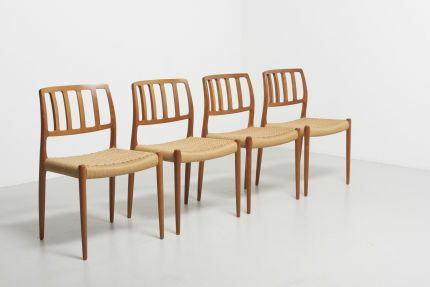 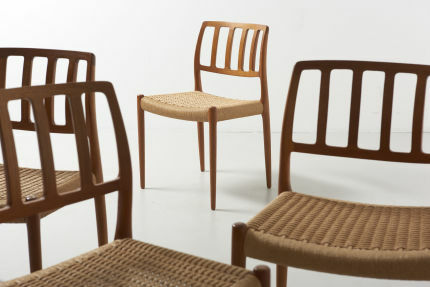 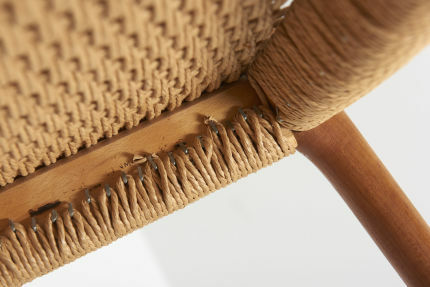 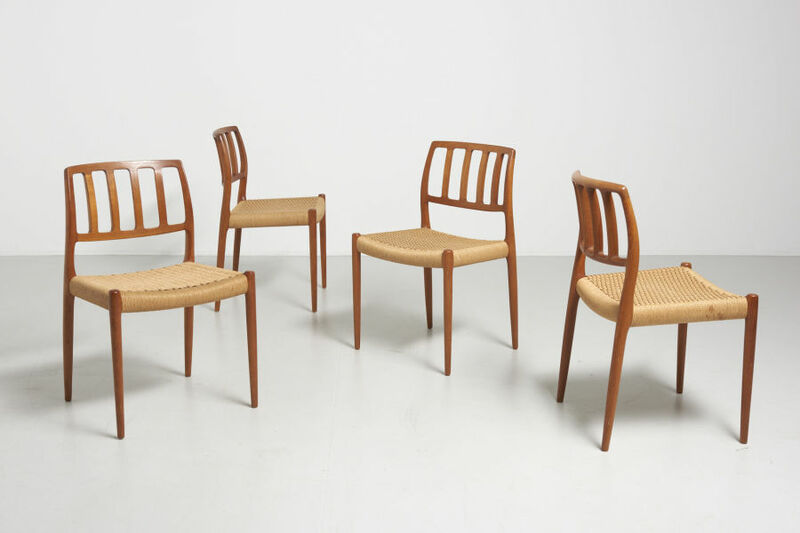 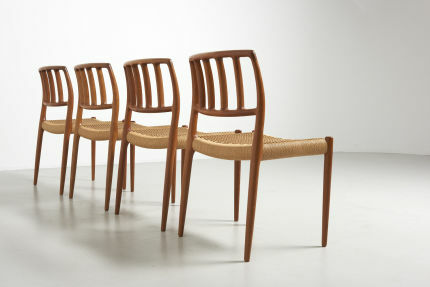 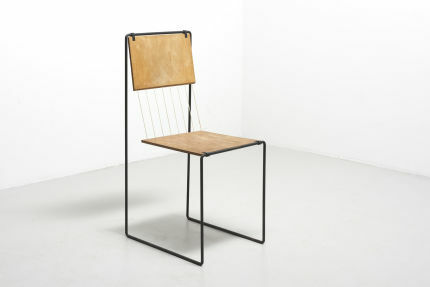 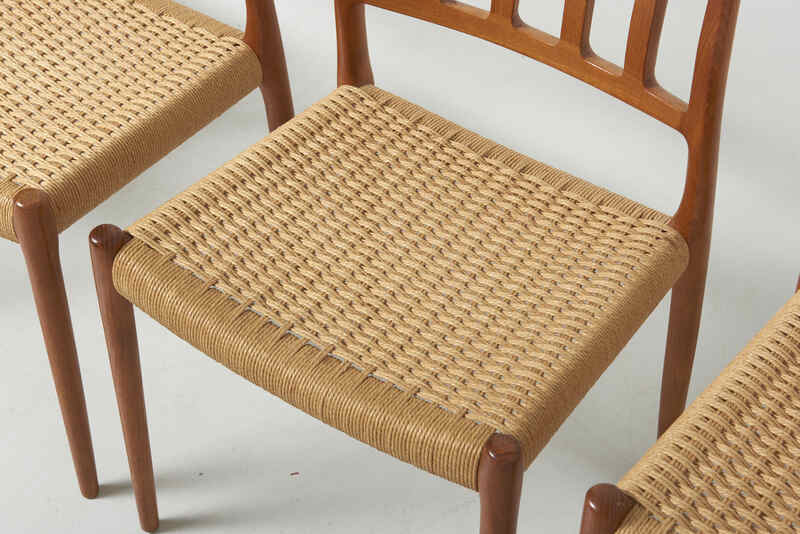 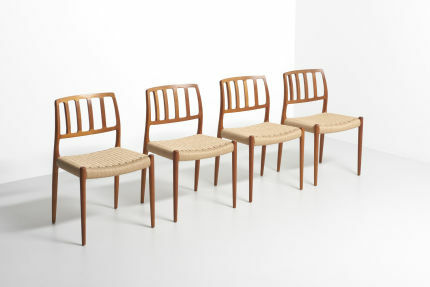 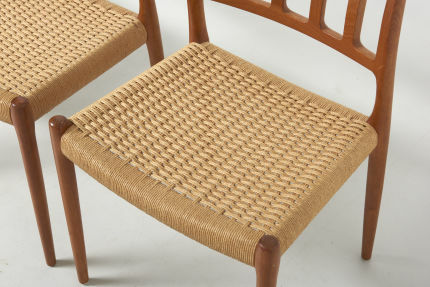 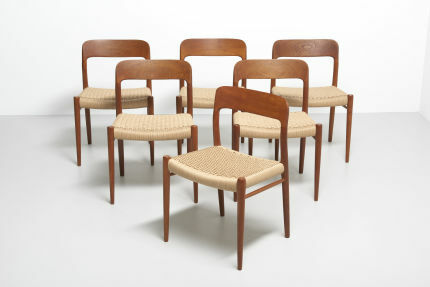 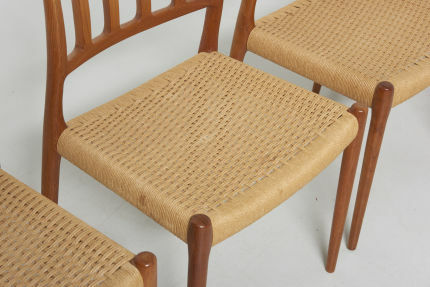 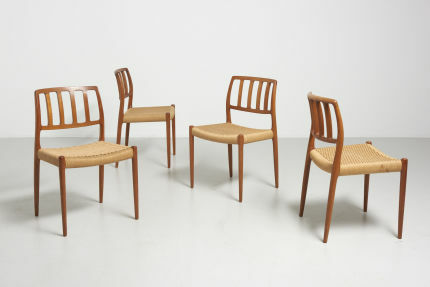 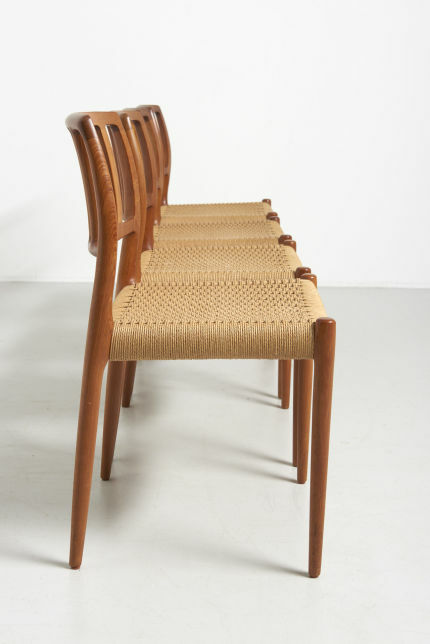 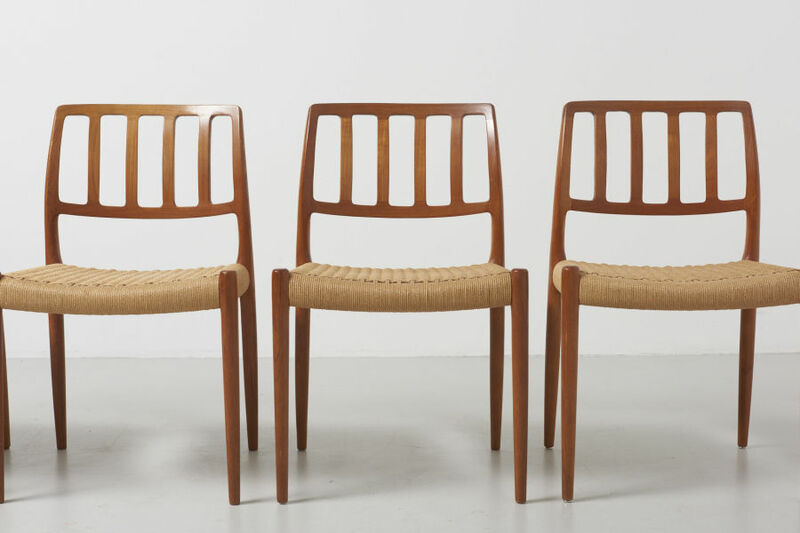 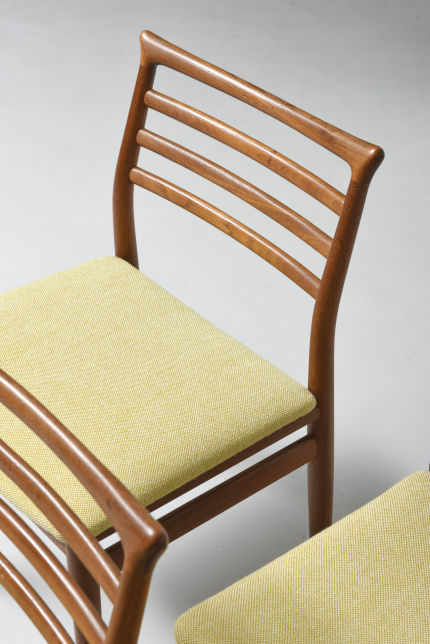 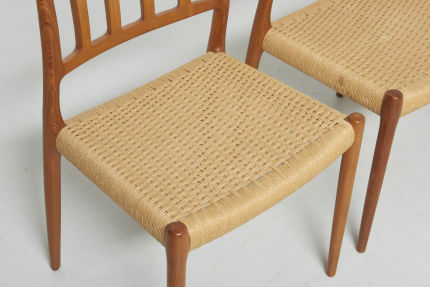 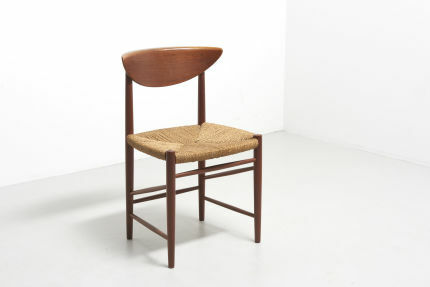 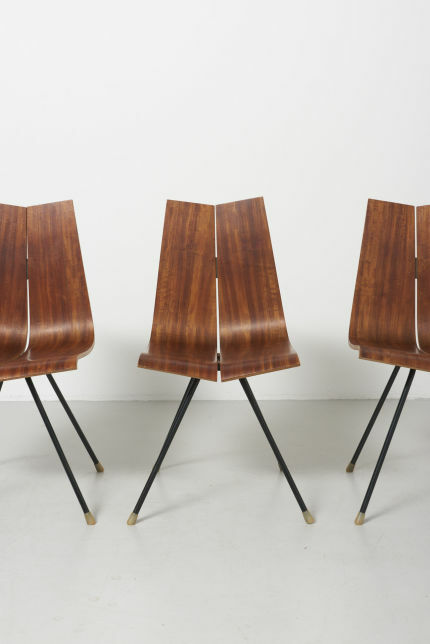 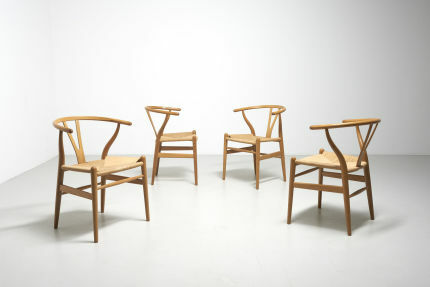 A set of 4 dining chairs in teak with original papercord. 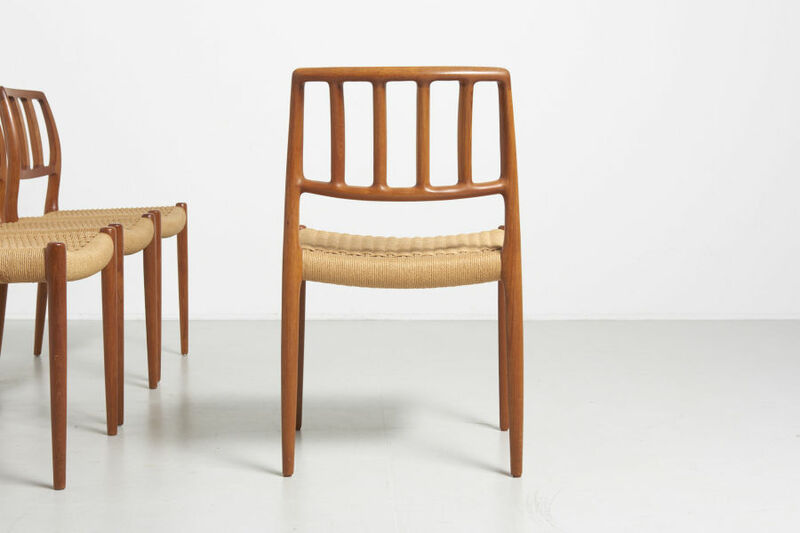 Model 83 - designed in 1974 by Niels O. Møller. Produced by J.L.Møller in Denmark.